Select a file that you wish to edit. Click inside a tag text field, and make your changes. 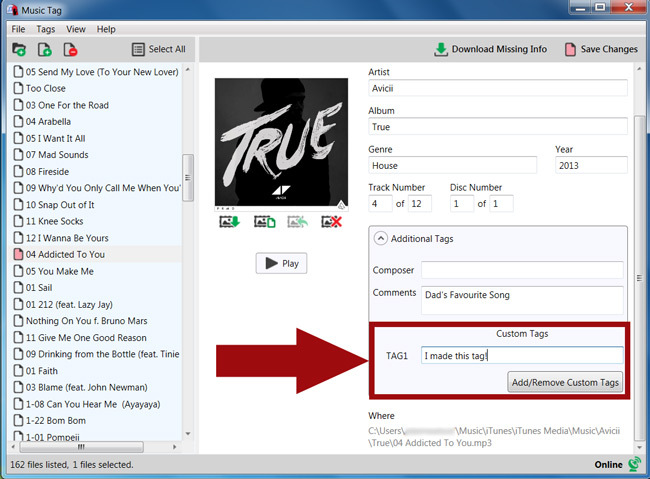 Click "Save Changes" to apply the updated tag data to your tracks. 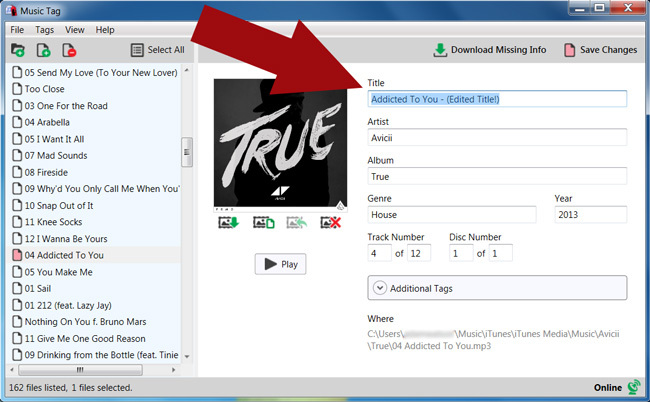 Using Music Tag, you can download the missing data for your music files but, if you so wish, it is also possible for you to manually edit that information. 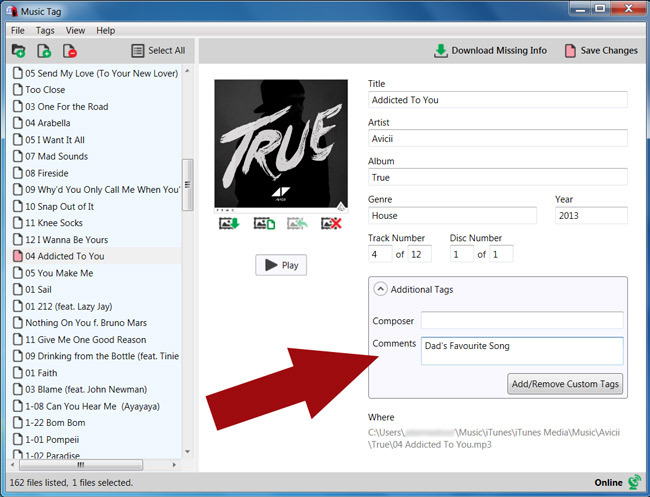 To do this, all you have to do is select a file from the File List, and start editing! Say you want to change the album, or you have no data and want to fill it in yourself, or you want to leave a comment so you can remember something about the song. By filling it in on the Tag Data View, you can save it back to the tags, and keep those changes. Notice that the file you modified has been marked red. This means a change has been made, and in order to keep it, you need to save the file.